Damien Murtagh grew up in Kingscourt, Co. Cavan. He was a member of the local GAA club, Kingscourt Stars and with whom he won 3 Senior County Football Championship medals in the late ‘80’s. He attended Gormanston College Secondary School for five years. He Worked in Ireland, The United States and Canada prior to taking up his architectural studies at Hull School of Architecture in the U.K. He graduated in 1994 with Distinction before working for a period of two years at the Studio of renowned architect, Toni Follina in Treviso, Italy. 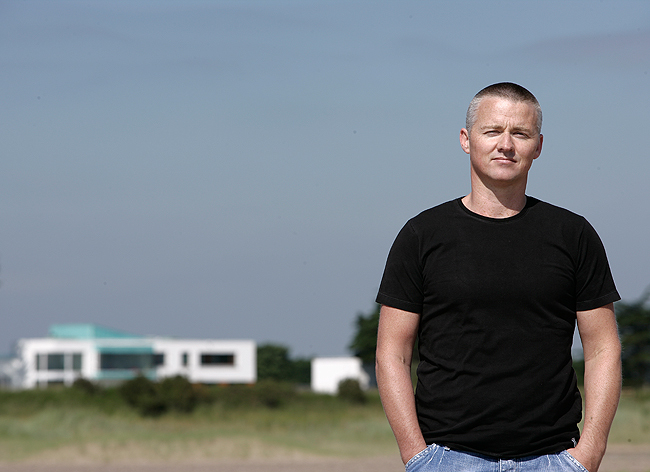 In 1996 he returned to Ireland where he worked for Hamilton Young Lawlor Ellison Architects in Dublin and in 1999 he set up his own practice, Damien Murtagh Architecture + Design. In 2013 Damien and his family moved to the UK where he has opened a new practice.